There are multiple pros and cons to renting rather than purchasing your trade show booth or exhibit. As with any decision, you’ll want to think carefully around whether or not renting is right for your company. Ask yourself some questions, like how important is trade show exposure to your overall marketing efforts? Are you a veteran in your field? Or are you a startup that’s still finding your feet? To help organize your thoughts and shed some of light on the topic, we’ve created a list of pros and cons to be mindful of. One of the major advantages to a trade show booth rental as opposed to an outright purchase is the regional mobility it offers you. After all, if your business depends on your location, you’ll probably want to attend multiple trade shows in your area to connect with different market segments and emphasize different products. When you rent from a trade show display company, they will ship your rental to the location of your choice. This allows you to move from show to show as your business goals dictate, without having to worry about the logistics of it all. When you rent your trade show display, most companies offer accompanying install services to save you the headache of construction. That means that those same expert crews will handle your display dismantle too. 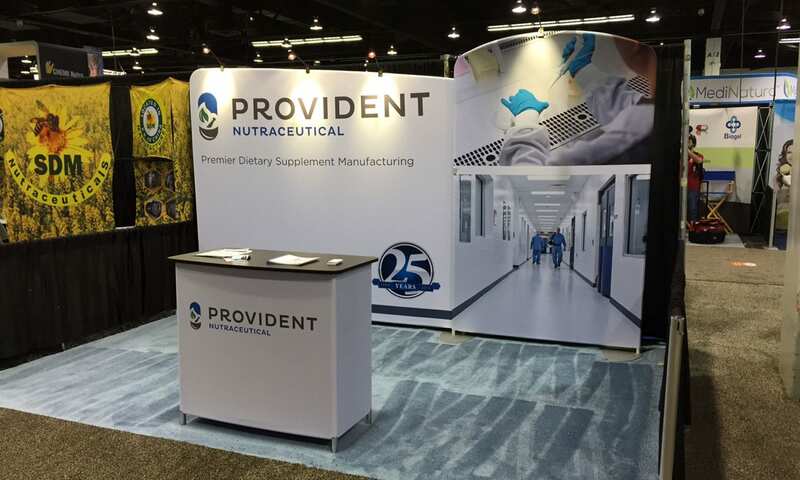 These companies’ teammates are specially trained with every exhibit design the company puts out, so you can rest assured that you’re receiving the best possible care. One of the keys to business success in any industry is to focus on what you do better than anybody else. Unless you and your team have a specialized passion for trade show booth construction, we’d consider this a major selling point. Deciding whether to rent or buy your trade show exhibit depends on your trade show agenda. Are you a newer startup, with a lack of overall clarity concerning your company direction and product plans? Or is your product not particularly suited to in-person marketing? A rental may be the better choice for you, as opposed to a full purchase. As a business owner, it’s your job to allocate resources in the most effective way possible. By making sure that you align your choices here with your organization’s actual needs, you’re doing precisely that. If you know you’re going to be a “one show every quarter” type of company, as opposed to “one show every month”, rental might be the better choice. It just depends whether you need flexibility in the size of your booth and how you budget dollars to support trade shows. Another massive benefit of renting your trade show booth is that it allows you to highlight various product lines within your company. Rental trade show booths provide flexibility to adapt to changes in your products for features like shelving, product displays and demonstration areas. One major con to booth rental is that it fosters a short term emphasis around your company’s relationship to trade shows. This may not seem like a big deal at first glance, but you could be unintentionally limiting your revenue going forward. Purchasing your booth implies that you’re committing to trade shows as a profitable component of your overall marketing picture. While there’s nothing wrong with rentals, there are certainly some implicit problems with the model. And a short term emphasis is definitely one of them. Trade shows are a hugely profitable and beneficial enterprise. Doesn’t it make sense to dive in and make the most of your opportunities, rather than sit on the fence in hesitation? Another potential downside of renting as opposed to purchasing your trade show exhibit is that you might be overpaying in the long run. Do you attend a large number of trade shows and events annually, or suspect you might be doing so? Then an outright purchase is probably a better bet in your particular case. 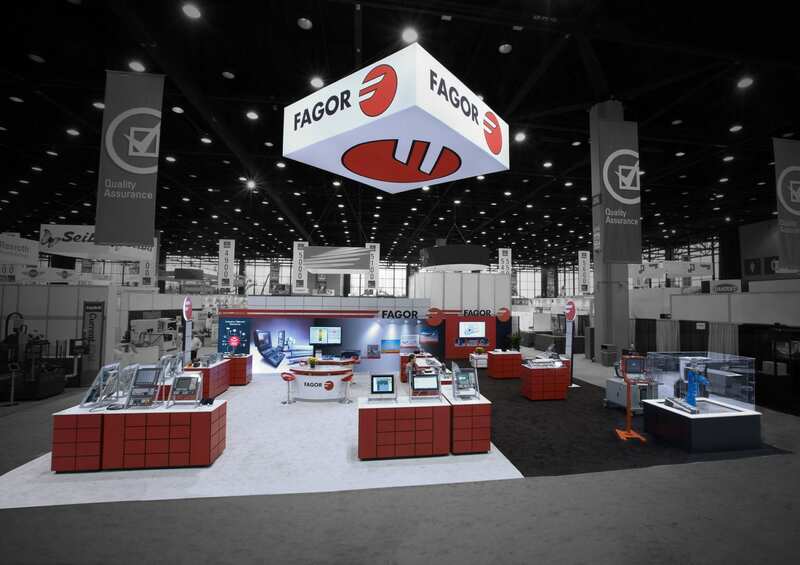 If you routinely attend trade shows and pay for your exhibit with every show you go to, eventually you’re going to hit a point where it would’ve been less expensive to simply buy your booth. Make sure you consider this point carefully before arriving at your decision. Nobody wants to overpay. One of the major risks of renting as opposed to buying your trade show exhibit is that it has the potential to limit your mental investment and involvement. In other words, because you’re renting your exhibit, you know you’ll get a second chance if things don’t work out perfectly the first time. This knowledge and attitude can prevent you from bringing your full vision to the company you decide to work with, resulting in a subpar exhibit. If you’re making a purchase, on the other hand, you’ll be much more incentivized to get it right, because you’ve only got one shot. You’ll need to carefully consider your individual needs, circumstances, and plans when deciding on a purchase or rental. Your decision will be impacted by a wide range of factors, including your wider marketing strategy, your product offerings, and customer segments. But whether you choose to rent or buy your trade show exhibit, the overall effectiveness of trade shows as a strategy is clear. All in all, it’s less a matter of determining if you’re going to include trade show exposure in your marketing plan, and more a matter of deciding where it fits into the broader scheme of things. At the end of the day, careful self-reflection will carry you far in your decision-making here.